Today, we meet Mrs. Volski! Mrs. Volski is actually short for Mrs. Sukhovolskiy. She and her husband like to run races together, and they love to travel as a family. She loves movement, singing and finding adventure in new places. There is a lot of singing in her Kinder classroom, and they find a song for everything! 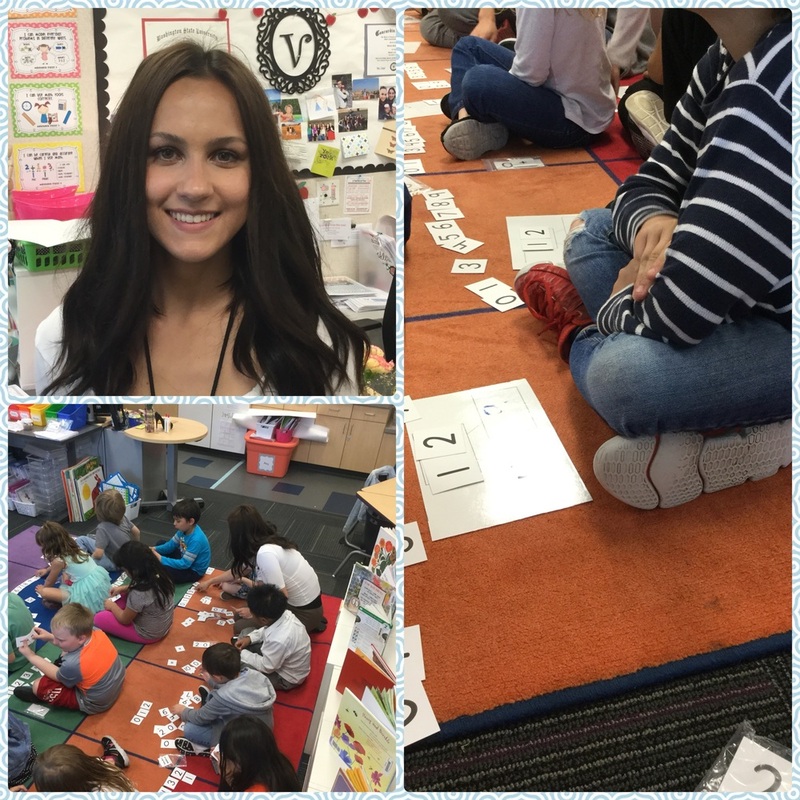 Mrs. Volski says, "I teach because I want to love coming to work, and Kinder makes that possible. I enjoy teaching Kindergartners specifically because they are the most eager, curious, and excited kids in school. I love working with kids to explore the beginnings of literature, and I especially enjoy being a part of the moment when they become readers themselves. Kindergarten is the happiest, sunniest place, and I love helping to create the first positive memories kids will have of their first year of school." What are Mrs. Volski's thoughts on what parents can do to best prepare their children for Kindergarten? "The most important thing is to help them mentally prepare for the shift in routine. Kindergartners spend most of the first two months of school building stamina for a full-day long schedule of activities, and getting them ready for this is important. It is vital to cultivate a healthy attitude toward school and do small, school-like tasks at home, just to prepare them for what is to come. Read a story together, practice writing their name, play a game with following two-step directions, color a picture inside the lines. But most importantly, talk through what school is and how much fun the kids will have in discovering new learning once they get to start!" In this photo, Mrs. Volski's class explores number bonds in a whole-group math lesson at the carpet.